Blue Bell/Pottstown, PA —Montgomery County Community College recently signed an agreement with Gwynedd Mercy University to provide housing for MCCC students. Through the agreement, which was signed in December, MCCC students can select to live on campus at Gwynedd Mercy for the same room and board rates that University students pay. MCCC, which is on Route 202 in Blue Bell, Pa., is less than four miles from the University, located on Sumneytown Pike in Gwynedd Valley, Pa. According to Philip Needles, vice president for student services at MCCC, the College receives inquiries each year, especially from international students and culinary arts students, about the availability of student housing. “I think this a winning partnership for both MCCC and Gwynedd Mercy University, and a great example of how local institutions can work together to address students’ needs,” Needles said. Danielle Gross, director of public affairs for the Pennsylvania Commission for Community College, said she believes the agreement is unique in the Commonwealth. “Articulation agreements between community colleges and four-year institutions are common, but we don’t know of any other such agreement related to student housing,” Gross said. Currently, the College serves 178 international students from 51 different countries, especially in programs such as culinary arts and business. International students who have enrolled at MCCC in the past have had to seek off-campus housing in the area which can be cost prohibitive. 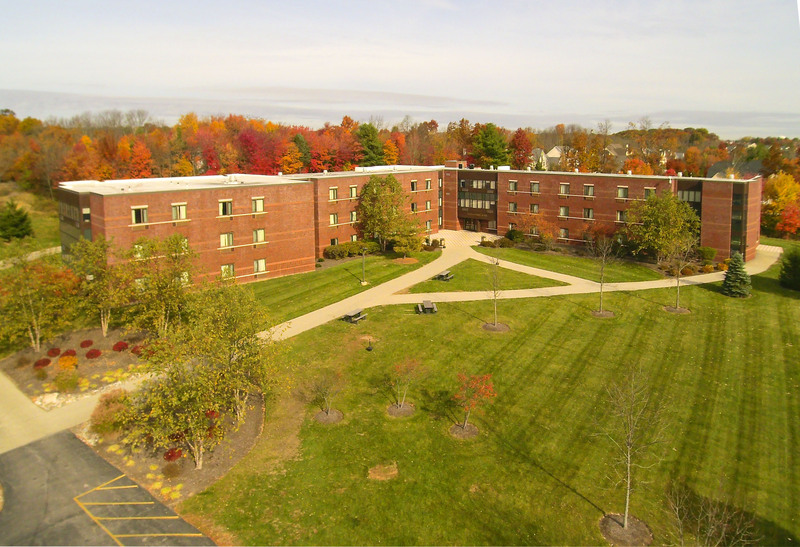 The College hopes to increase enrollment by providing student housing at Gwynedd Mercy University, but the housing option will be open to all students who choose to experience that aspect of college life. Gwynedd Mercy University sees the agreement as an opportunity to further strengthen its relationship with MCCC and attract more transfer students from the local two-year college with which it has an articulation agreement. The housing agreement will also provide an additional revenue stream for the University. The cost of room and board at Gwynedd Mercy ranges from $5,570 per semester for housing and a 10-meal plan to $6,270 per semester for a 19-meal plan for the 2017-18 academic year. For more than 50 years, Montgomery County Community College has grown with the community to meet the evolving educational needs of Montgomery County. The College’s comprehensive curriculum includes nearly 100 associate degree and certificate programs, as well as customized workforce training and certifications. Students enjoy the flexibility of learning at the College’s thriving campuses in Blue Bell and Pottstown, at the Culinary Arts Institute in Lansdale, and online through a robust Virtual Campus. Gwynedd Mercy University prepares students to become top professionals in the fields of business and education, nursing and other health professions, and the arts and sciences. Founded by the Sisters of Mercy in 1948, Gwynedd Mercy University is a Catholic, co-educational institution offering more than 40 undergraduate and graduate degree programs. The University’s Main Campus is situated on 160 beautiful private acres in Gwynedd Valley, Pennsylvania, just 30 minutes from Philadelphia. The University also offers online/accelerated degree programs for working adults with campuses conveniently located in East Norriton, Philadelphia and Bensalem. Learn more at gmercyu.edu, or follow us on Facebook and Twitter. 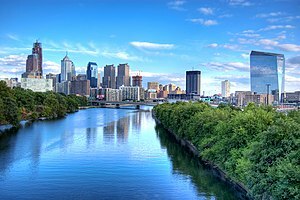 The $158 million, 33-story Grove high-rise, planned for 850 Penn and Drexel students, adjoining the two campuses on a Penn-owned property at 2930 Chestnut St. in Brandywine Realty Trust‘s Cira South development, will stand out among East Coast college housing projects. For one thing, it’s taller. Boston University boasts a landmark 26-story dorm with spectacular views. New York University cancelled plans for a 38-story tower after Greenwich Village neighbors and architect I.M. Pei protested. Penn’s three 25-story undergrad dorms have anchored “Superblock” (“an architectual conceptual disaster,” according to this 1999 Pa. Gazette review) on the west end of campus since the 1970s. Temple’s new Morgan Hall dominates the view to Center City from 21 stories above North Philly. The project’s backers hope it will reverse the long flow of graduate students into West Philly‘s mixed residential neighborhoods and booming Center City and slowing growth to the student ghetto locally dominated by outfits like Michael Karp’s University City Housing Corp. and David Adelman’s more upscale Campus Apartments (home of the Beige Blocks). Easton, PA – An accidental heroin overdose killed Garrett Reid, the son of Philadelphia Eagles coach Andy Reid, a coroner said Thursday. Northampton CountyCoroner Zachary Lysek said a toxicology test confirmed the presence of heroin in Garrett Reid’s body. Investigators revealed they found a used syringe and spoon in his room, along with a gym bag filled with dozens of syringes and needles, many of them unopened. “We are confident today that Mr. Reid’s death was the result of a self-injected lethal dose of heroin,” District Attorney John Morganelli said at a news conference in Easton. Reid was found dead in his dorm room early on Aug. 5 at Lehigh University in Bethlehem, where he was assisting the team’s strength and conditioning coach during training camp. Garrett Reid, the troubled son of Eagles head coach Andy Reid, was found dead in his dorm room at Lehigh University this morning. He was 29 years old. Garrett Reid, who served a prison sentence on drug charges stemming from a 2007 arrest and later had a relapse, had been working with the team’s strength and conditioning staff as a volunteer, according to a team spokesman. Andy Reid is not with the team, which kneeled for a prayer before this morning’s practice. Garrett Reid’s legal problems began with a 2007 arrest following a traffic accident when he was found to be high on heroin at the time.